In 2009, Bremen was host of the official ceremonities for the 20th anniversary of the fall of the Wall. 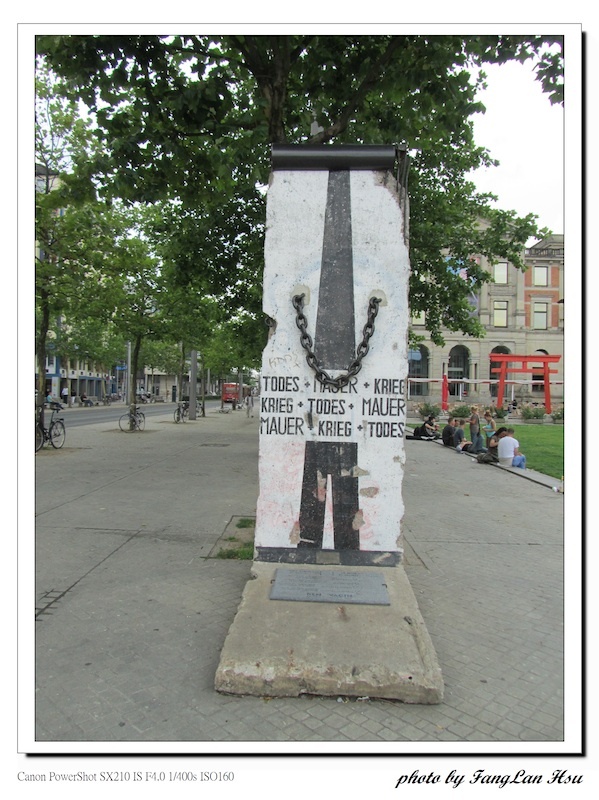 Appropriate for the occasion, the place in front of the central station and the Überseemuseum was renamed in Platz der Deutschen Einheit (Square of German Unity) and equipped with a Wall segment, which was designed by Berlin based artist Ben Wagin. 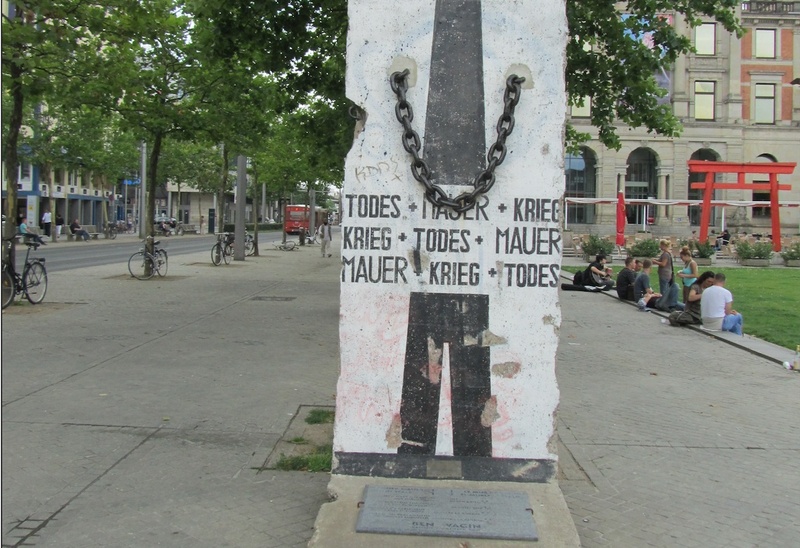 His other Wall works, messages from Berlin’s Parliament of Trees, are shown in Köln/Bonn, Bonn, Wittlich and Berlin.